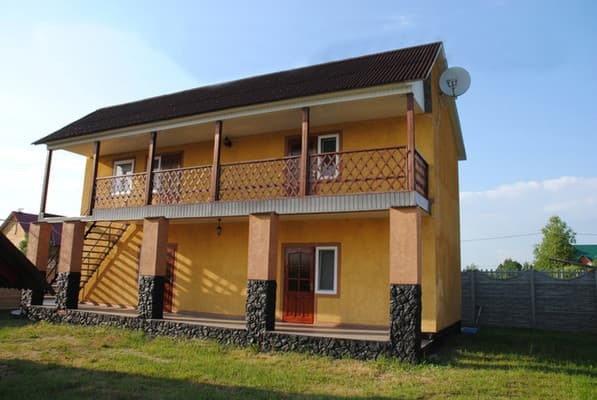 The Gostiny Dvor cottage is located in a picturesque place in the village of Shatsk, next to a pine forest, 300 meters from Lake Svityaz. 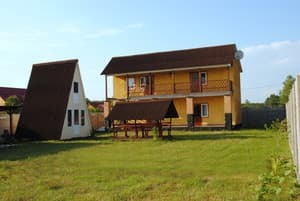 "Gostiny Dvor" is a wooden cottage for 15 people, there are separate rooms with a refrigerator, TV (satellite TV), shower, toilet, hot and cold water around the clock, a fan, comfortable wide beds and all the necessary furniture. Rooms are cleaned and bed linen is changed every 3 days. 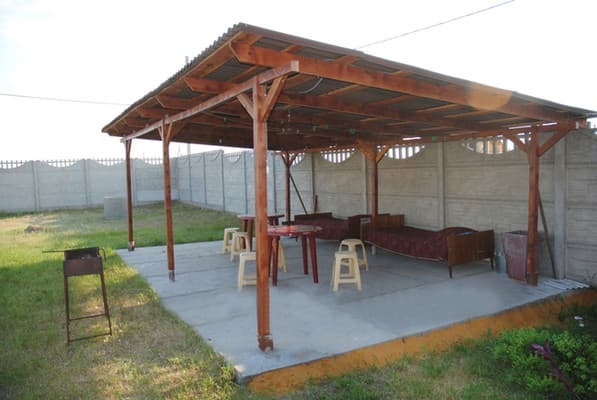 On the territory of the cottage "Gostiny Dvor" there are: a brazier, gazebos, parking, catering is available for a fee. 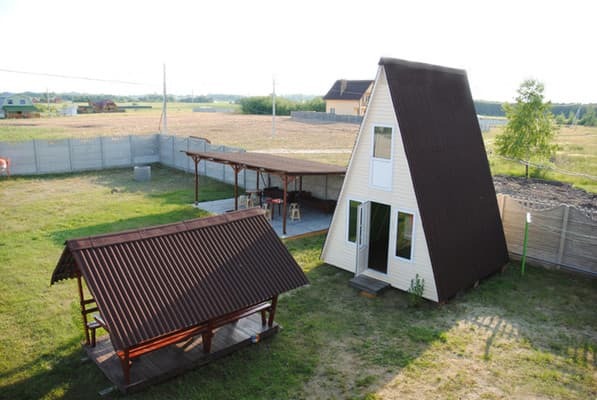 The distance to Lutsk is 154 km, to Svityaz - 6.6 km. 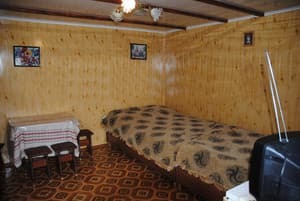 Description of the room: Cozy double room with a large double bed. Description of the room: Separate cottage for 15 people with access to the balcony. There is all the necessary furniture for a comfortable stay. 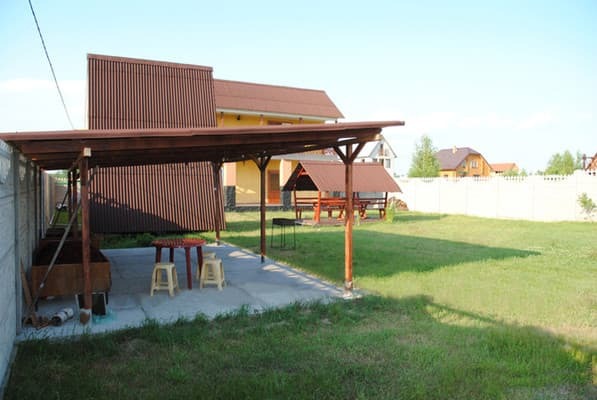 In the courtyard there is a fully equipped kitchen for self-cooking. 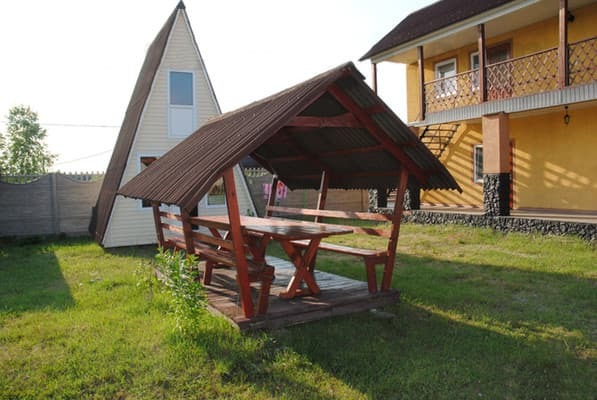 The cottage is located on the outskirts of the village, on the shore of the picturesque lake Svityaz. By train to Kovel from the station square ride taxis to the village. Shatsk.